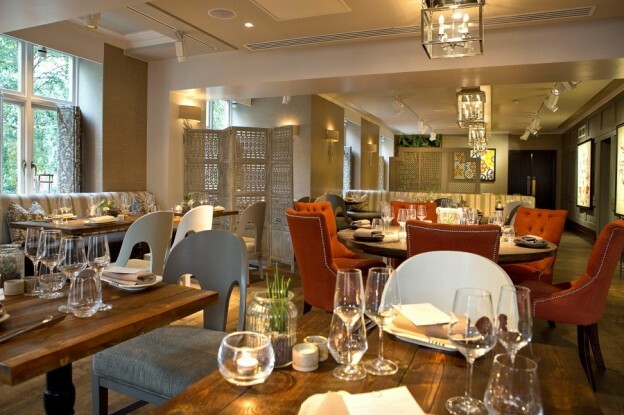 Last time I reviewed the Caxton Grill at St. Ermin’s Hotel it was under the sublime stewardship of Professional Master Chef finalist Adam Handling. 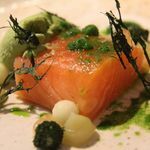 So, with Mr Handling departing to open his own restaurant empire under the Frog moniker, I thought it was a good opportunity to see how the Caxton Grill has developed under new head chef Alex Boyd. 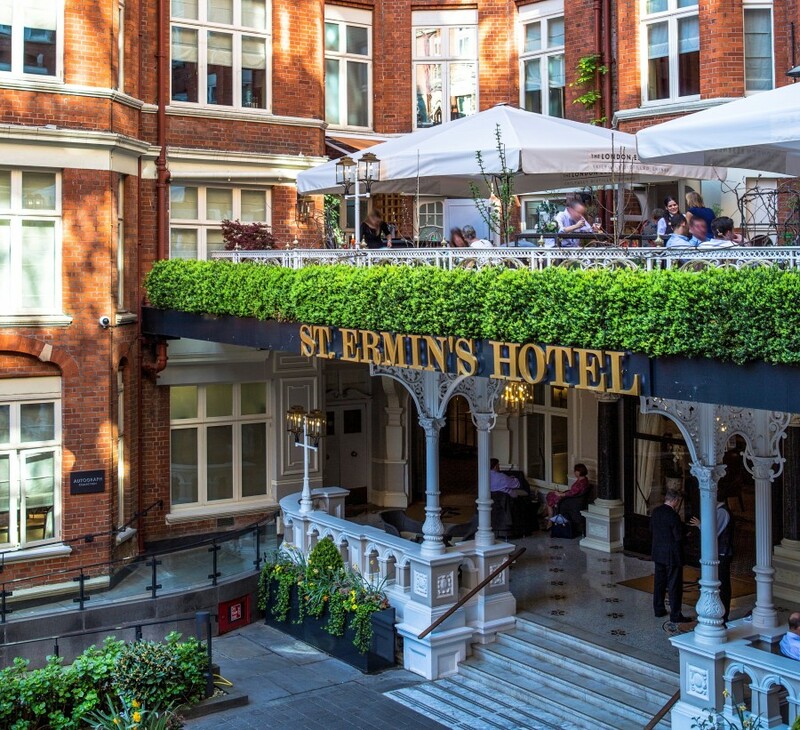 St. Ermin’s has always held a place close to my heart as one of London’s hidden hotel treasures; a four-star deluxe hotel which sets its sights on five-star delivery, tucked away in a quiet courtyard behind Buckingham Palace. 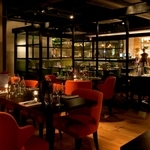 I have to admit I was a little fearful for the Caxton Grill. After all, Adam Handling set high standards following his transformation from New York grill to fancy fine dining. Thankfully, as it turned out, I had no need to fret. 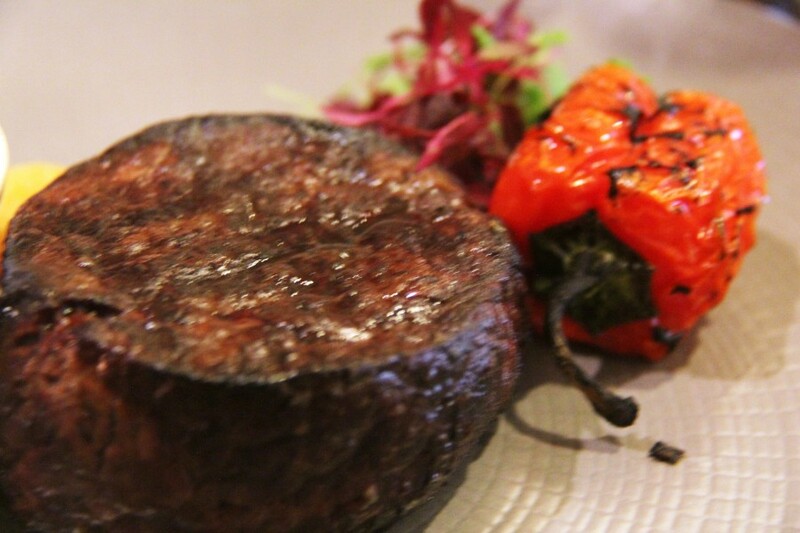 Caxton had returned to its roots; a relaxing informal restaurant with the emphasis firmly centred around its legendary Josper grill. There is something immensely civilized about enjoying artisan gins before dinner and the bar on the outside balcony terrace is another reminder of why I’m so fond of this place. On a summer’s evening you could almost feel you’re somewhere more exotic enjoying a sundowner, but then again, perhaps the view of this delightful Edwardian courtyard has its own beguiling charm. 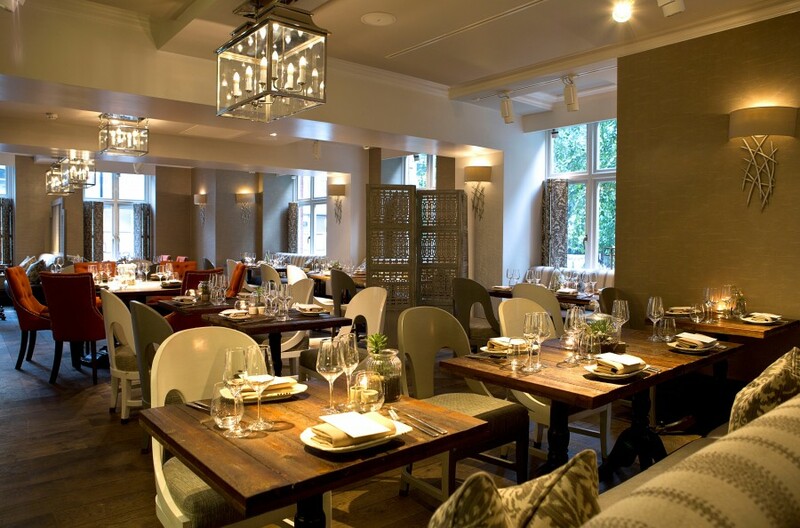 Back downstairs Caxton is heart-warmingly busy and the menu message as clear as day; locally sourced seasonal ingredients, dry aged grills and plenty of fish, seafood and vegetarian options. Sommelier in training Lorenzo took a shine to me, probably because I waxed lyrical about his home region of Abruzzi. Get the sommelier onside and you’re bound to get a few extra sips. The starters were fresh and delicious. 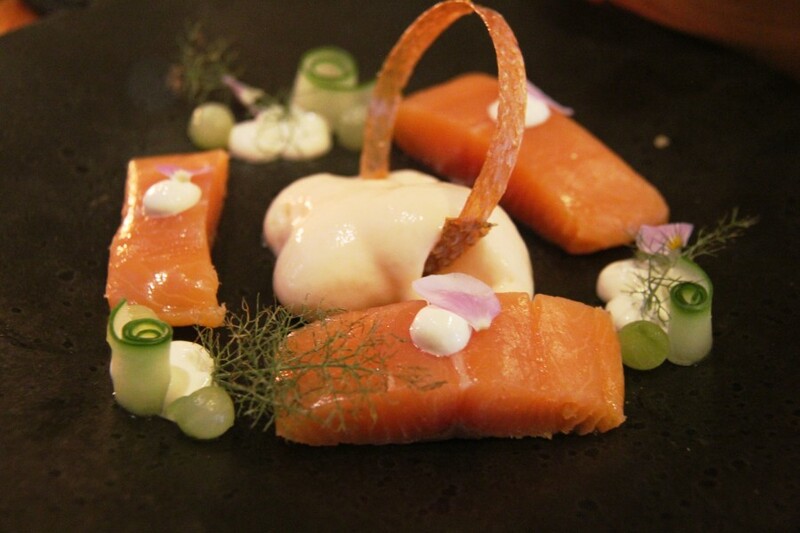 Scottish cured salmon with cucumber, horseradish and crème fraîche (£9) and an asparagus salad with an almond dressing (£8.50). Other notable options I spotted on the table next to us were Sussex beef Carpaccio with basil and parmesan ( £9.50) and goat’s cheese with apricots and an olive oil crumble (£8). Even though I’d settled on a Cabernet Sauvignon Lorenzo was back trying to tempt me with little tasters to improve my upcoming steak; a Malbec and even a wonderful Barolo, but glorious as they were, I wasn’t to be swayed. The Jospered 28-day dry aged Herefordshire fillet (£35) appeared, cooked exactly as requested, accompanied by a glorious supporting cast of sides (£4); spinach with chilli and garlic, buttermilk onion rings and smoked garlic mushrooms. Reluctantly, I had to share these with my dining partner who clearly felt her sea bass fillet with heritage tomatoes and shallots (£17) was far too lonely without such impressive backup. 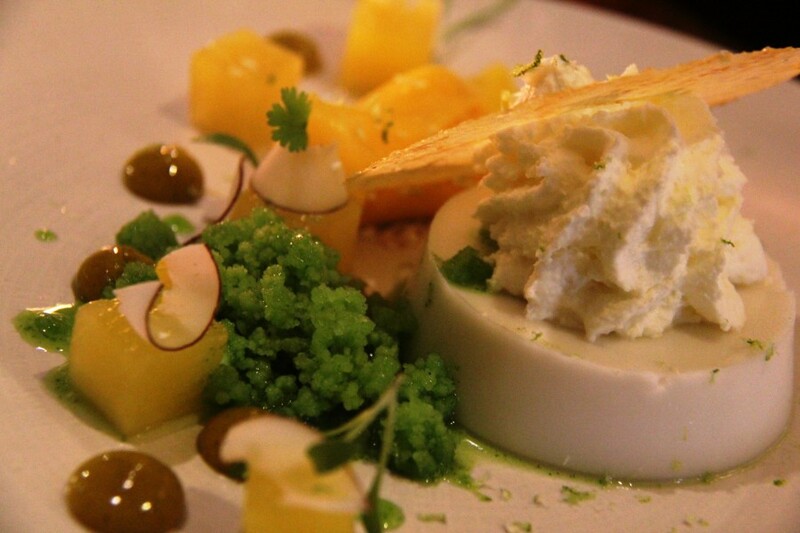 In a final flourish, the coconut Pana cotta with pineapple, mango sorbet and coriander (£8.50) was a total triumph. London has so many culinary options that, in many cases, don’t deserve the big ticket prices. 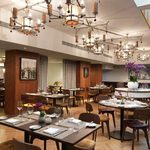 St. Ermin’s has a high volume of American guests and it’s not rocket science to know what your customers prefer to eat and welcome them with open arms into familiar territory. That, my friends, is intelligent hospitality and the Caxton Grill ticked every one of those boxes. You can’t blame a hotel for dipping its toes into the fancy dining water, but it’s a strategy that has had mixed results. Perhaps it is much more sensible to simply carry on doing what you do best, and in this quiet corner of London, they’ve been doing it just like that for years. T: 0044 207 227 7777 E: info@caxton.co.uk.